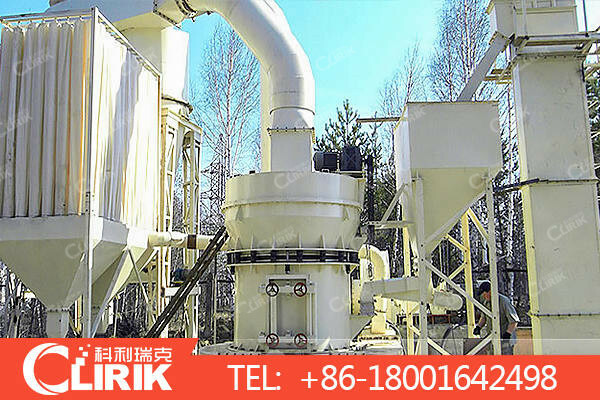 Advantages of Raymond Roller Mill-Grinding Mill Manufacturer,Grinding Mill for Sale,Industrial grinding mill-Clirik! Second: good environmental protection The internal vortex chamber of the Raymond roller milladopts a unique airflow self-circulation device, which reduces the amount of air discharged, which not only reduces dust pollution, but also improves the working efficiency of the Raymond roller mill mechanism powder. Fourth: large processing capacity After the optimized processing of the deep cavity rotor structure, the Raymond roller mill can increase the material throughput by more than 40%, greatly enhancing the production capacity of the Raymond roller mill; in addition, we have specially modified the discharge opening. The ability to adjust the discharge granularity in a wider range can better meet the needs of customers and the market, and make it more adaptable to the market. Fifth: The finished grain shape is excellent in the grain shape after the grinding operation of the Raymond roller mill, the quality is firm, the needle-like content is small, the iron pollution is small, and it is deeply loved by the users, and the market sales are high. In addition, this equipment is very small due to the moisture content of the material, and can be applied to more forms of ore material fine crushing and sand making operations.